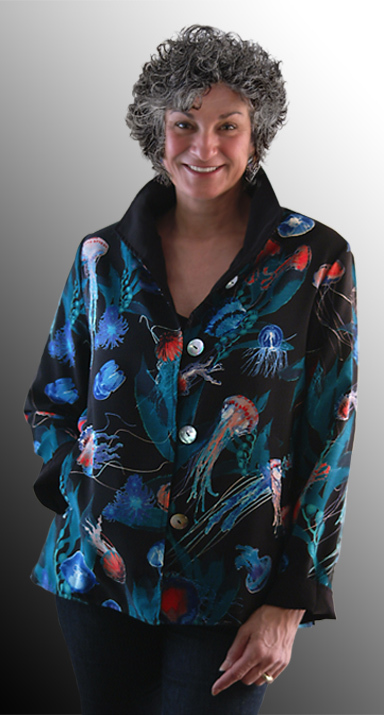 This elegant new Reversible jacket is made from our own "Jelly Fish" print which is printed from our own artwork. - No designer even comes close to this print design. It features button loops that work in either the printed side out or the black side out. There are 4 Mother-Of-Pearl buttons per side. When Reversed it will reveal a hint of Jelly Fish on the collar and cuffs over a black body. It has pockets on both sides.